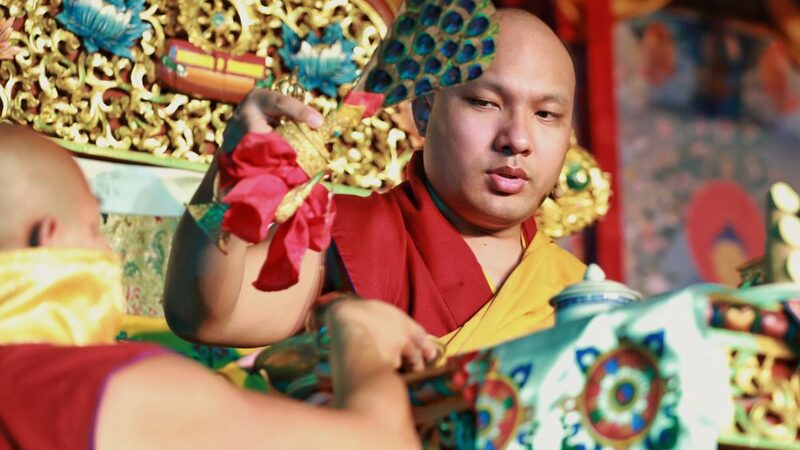 The empowerment resumed, and after its completion, the Karmapa continued his teaching, emphasising once again the fundamental interconnectedness of all sentient beings. The Amitayus empowerment was for long life, he began. Everyone wants to enjoy a long life and also hopes for a life of well-being and happiness but for this, two conditions are necessary: a healthy body and a healthy mind. 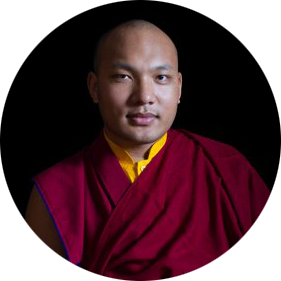 This idea is encapsulated in the Tibetan word dekyi, often translated into English as “happiness.” The first syllable de refers to physical health and well-being, whereas the second syllable kyi refers to mental happiness and well-being. Thus, to lead a happy life, we need the external factor of a body free of illness and the internal factor of a mind that is not overwhelmed or weighed down by suffering. 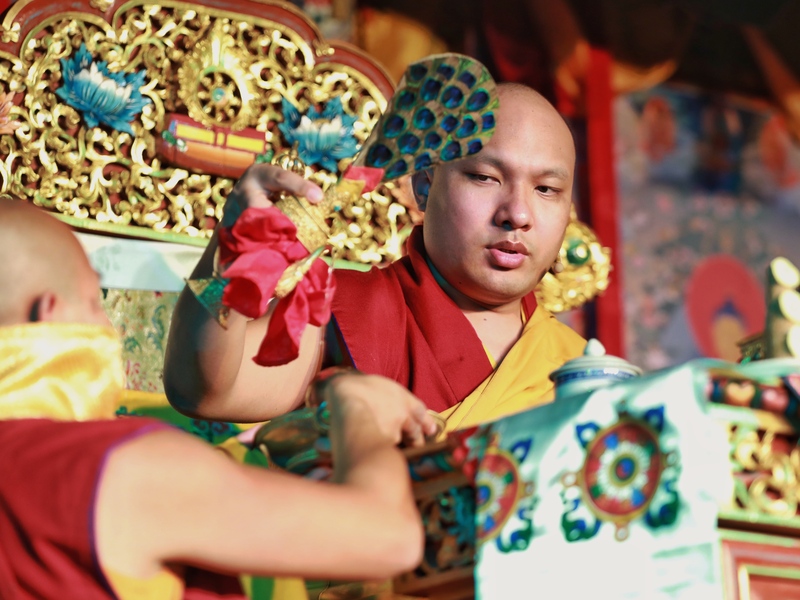 The Karmapa pointed out that physical well-being on its own is not sufficient; our minds also must be turned in a positive direction.